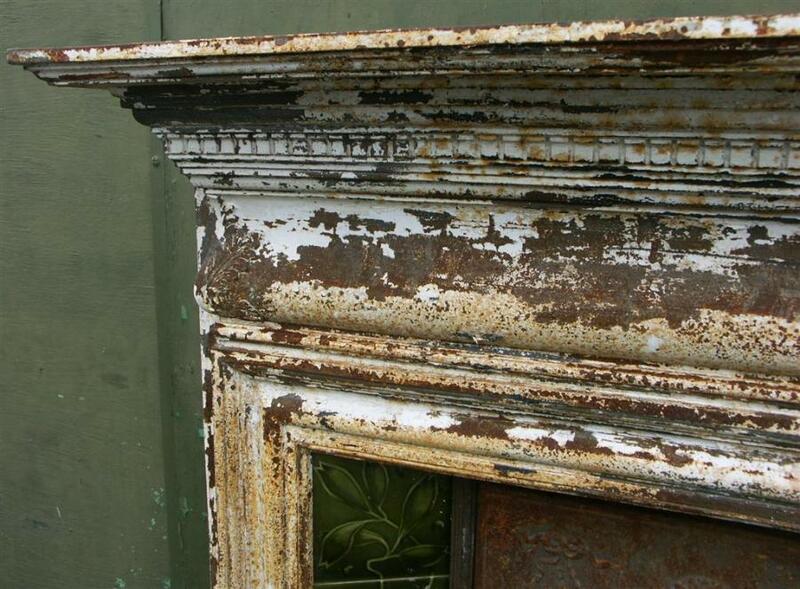 An antique victorian good quality. cast iron combination fireplace. 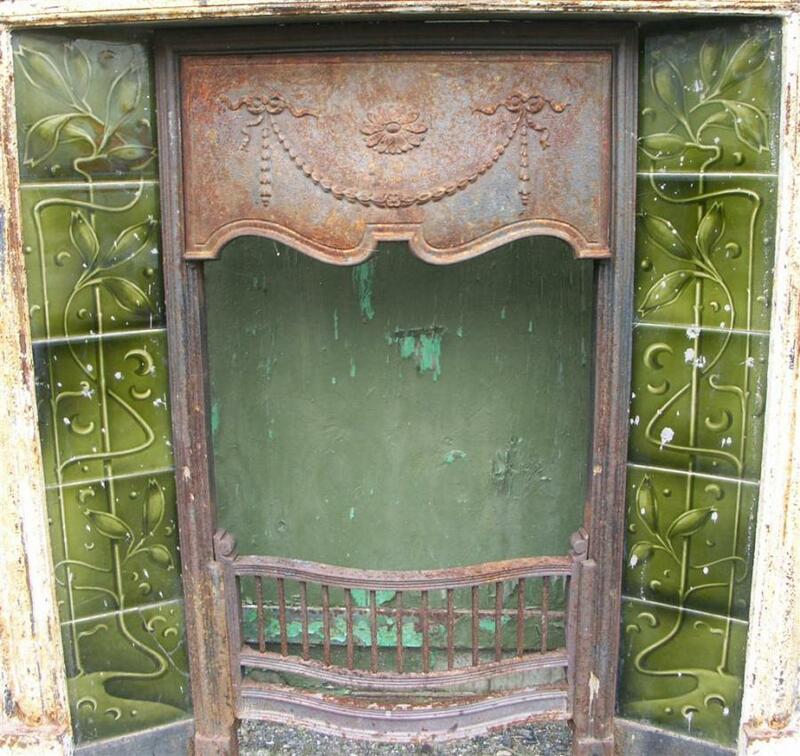 A classical moulded surround with an exceptional surreal set of original art nouveau tiles.May split tiles and fireplace. From a house in Blackburn,Lancashire. 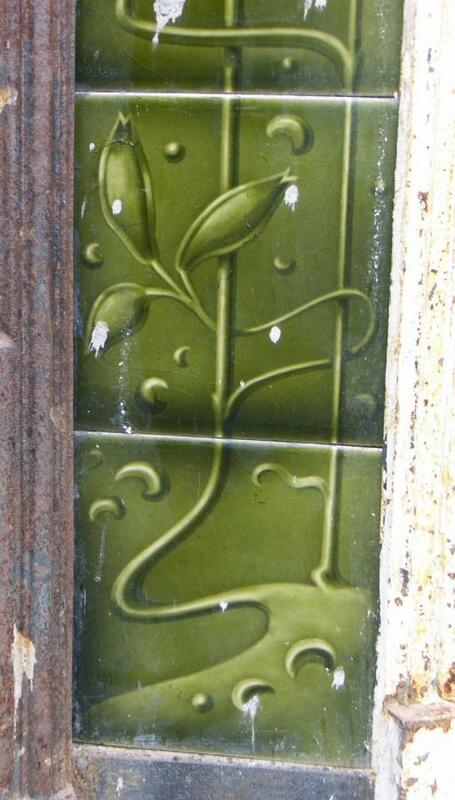 Photos show fireplace in its current "raw" state.The marks on the tiles are removeable. 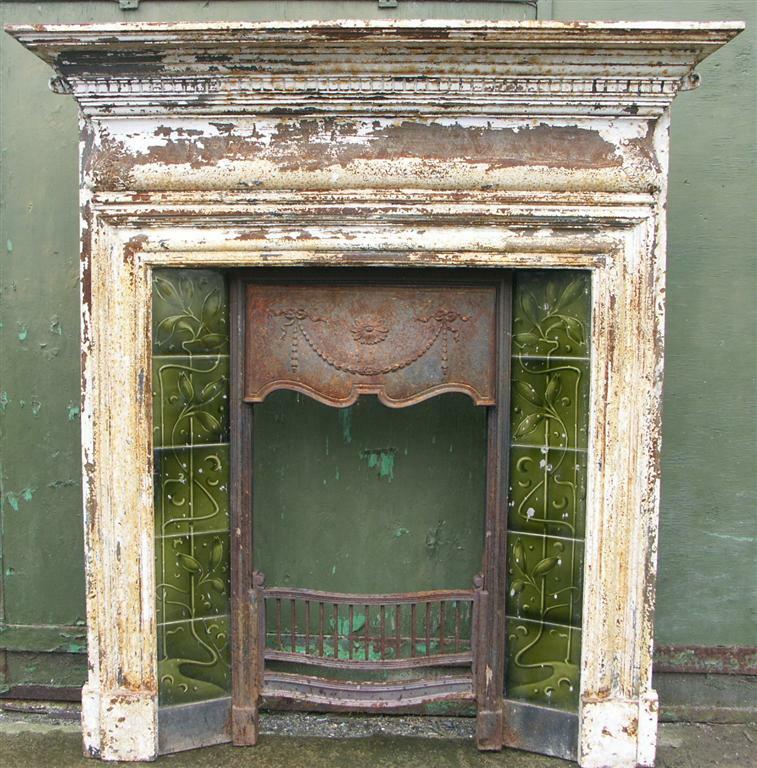 Fireplace to be sold as is or stripped and/or grate polished.Complete with original bars and hood. In inches:shelf is 43 by 7, 47 high, 38.5 body width, 16 wide grate.